VHF 3EL Tape Measure Yagi. It appears that the International Space Station (ISS) was transmitting slow scan television (SSTV) off and on for the past couple of days. The Russian ARISS team was transmitting images commemorating the 80th birthday of Yuri Gagarin, the first human to orbit earth. It was being transmitting from the Russian service module using only 5 watts of power. I wanted to see if I can get one of these images on my own. They were using 145.800Mhz as the downlink frequency so at least I have the radio for it. 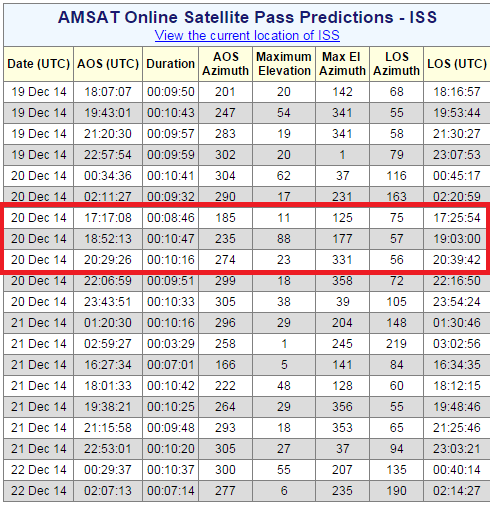 Due to work schedule, I was not going to make the 17:17z pass so I concentrated at 18:52 because the elevation would put the ISS right over my house instead scanning the horizon. It was my best chance. At around 1:00pm, I made sure everything is in working order. The equipment I was going to use was a Radio Shack police scanner, Elk antenna, my laptop with a USB sound card, audio patch cable and the software MMSSTV. At around 1:30 I took everything to the much colder outside and setup shop. Now that I think back, I should have also setup my home 2M using the vertical antenna on my roof to decode as well. 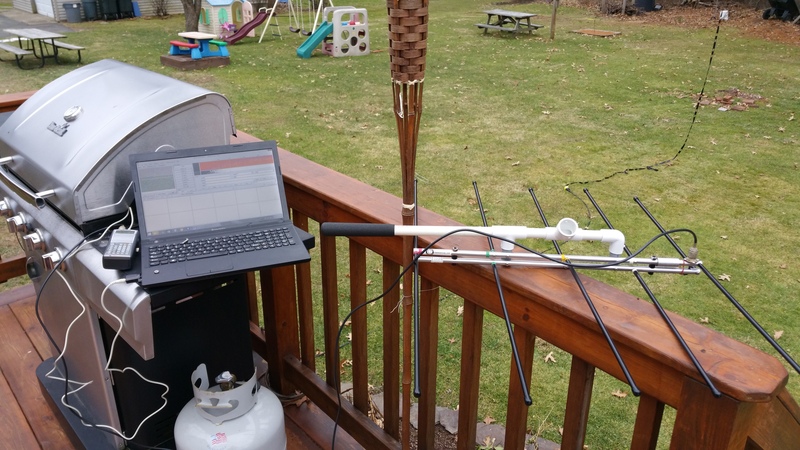 I stated waving the antenna around at 1:50 and finally around 2pm is when I started hearing the ISS. If you want, you can watch the following video. Please ignore everything wrong. I thought of recording it last second and would have at least not wear my work clothes. That’s not bad. All I am missing is the RS0ISS header which is the callsign used by the Russians on the space station. I had a blast doing this. It was really fun and I hope NASA and Roscosmos would do more things like this in the future. It could really encourage people to join into the amateur radio community.